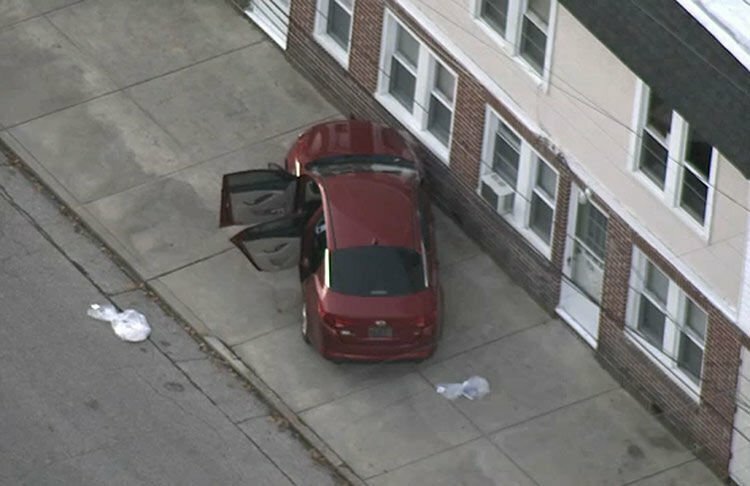 A car authorities say was used in an escape by four juveniles from Harborfields detention facility sits outside an apartment complex on Buerger Street Wednesday morning. Three of the four teenagers who escaped from Harborfields — Donovan Nickerson, Raymir Lampkin and Stephine Woodley — were captured that morning. Murder suspect Michael Huggins, right, was caught a day later in Atlantic City. EGG HARBOR CITY — Four inmates broke out of the Harborfields Juvenile Justice Facility early Wednesday, stole a guard’s car and ditched it ahead of a pursuing police cruiser. Several hours later, three of them, all juveniles, were captured in Bridgeton, 35 miles west in Cumberland County. A fourth suspect, Michael Huggins, 18, who was charged in an October 2016 slaying in Bridgeton, remained at large and the subject of a search in the Cumberland County city. Acting Atlantic County Sheriff Michael Petuskey, who announced the arrests of the other escapees about 10 a.m. Wednesday, said the details of the escape were being investigated. “They did get a pretty good distance,” Petuskey said during a media briefing, one of several he gave throughout the morning. Schools in towns around the jail canceled classes Wednesday morning as a precaution. “There are many people in Egg Harbor City who would say that we would prefer the juvenile detention center to be moved where the other facilities are in Mays Landing,” Jiampetti said. Once the place where most juvenile offenders were held, Harborfields now houses fewer juveniles awaiting court hearings — it has beds for 27, 19 boys and eight girls, according to the Atlantic County website. Now, the facility holds only more serious cases from around South Jersey as part of a decades-long approach to juvenile justice reform. Huggins was charged with murder in the Oct. 7, 2016, killing of Davonte Lee in Bridgeton and should be considered dangerous, Cumberland County Prosecutor Jennifer Webb-McRae said Wednesday. If anyone sees Huggins, they should call 911 and not approach him, the prosecutor said. The juveniles who have been caught were identified as Stephine Woodley, Raymir Lampkin and Donovan Nickerson. Their ages, hometowns and alleged crimes were not released. Before their capture, authorities did say the escapees were 18, 17 and two 16-year-olds. The distance between the detention facility and where the car was abandoned was less than six blocks. Surveillance video showed the car racing on Buerger Street and sideswiping a Jeep, sending sparks flying and showering the street in pieces of molding. Less than a block farther, the car’s occupants jumped out of the car and ran. A police cruiser raced up the same street. 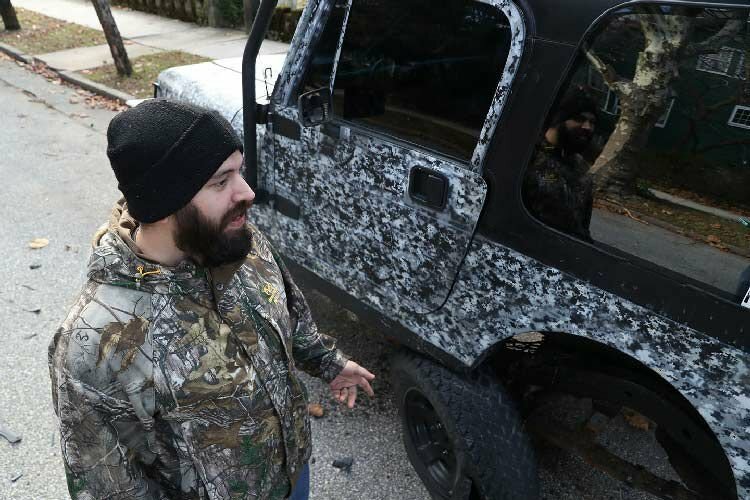 Joseph Luna, 29, the Jeep’s owner, saw the car race by and thought they were joyriding. He didn’t realized they’d hit his car, wrenching the left rear wheel nearly 90 degrees. Egg Harbor City police gather at St. Louis Avenue in search of the Harborfields escapees. The search took authorities all the way to Bridgeton, where three of the four were found. The escapees stole a guard’s car and crashed it at an apartment complex on St. Louis Avenue in Egg Harbor City, authorities say. Acting Atlantic County Sheriff Mike Petuskey gave several press briefings Wednesday on the escapees. He announced the arrests of three of them about 10 a.m.
Four young prisoners escaped Nov. 15 from the Harborfields juvenile jail in Egg Harbor City. Three of those were recaptured the same day. Or that they were escapees. While bothered by the damage, he was grateful later he didn’t approach the vehicle. 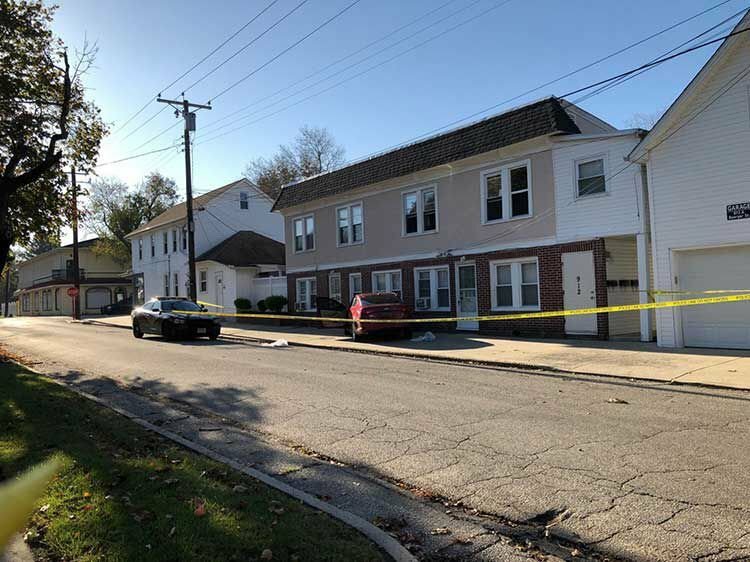 Michael Kinsing, a tenant at the three-unit complex near St. Louis Avenue and Buerger where the car came to rest, said he awoke to emergency lights and a large number of police in his normally quiet neighborhood. “Not my favorite way to wake up,” said Kinsing, who added he was glad for the speedy response. Many schools in the area closed due to the escape. All schools in the Egg Harbor City School District, Greater Egg Harbor Regional High School District, Hamilton Township School District, Mullica Township School District and St. Vincent de Paul Parish closed Wednesday as a precaution. Galloway Township Public Schools also closed. Jiampetti, who used an alert system to call residents about 3:30 a.m. to warn them of the escape, said there was another incident when she was mayor-elect in 2012 — four inmates escaped and were caught on Buffalo Avenue three hours later. She thanked other law-enforcement agencies for helping and said the Egg Harbor City Police Department is stretched thin and understaffed and could not do a big job like this alone. 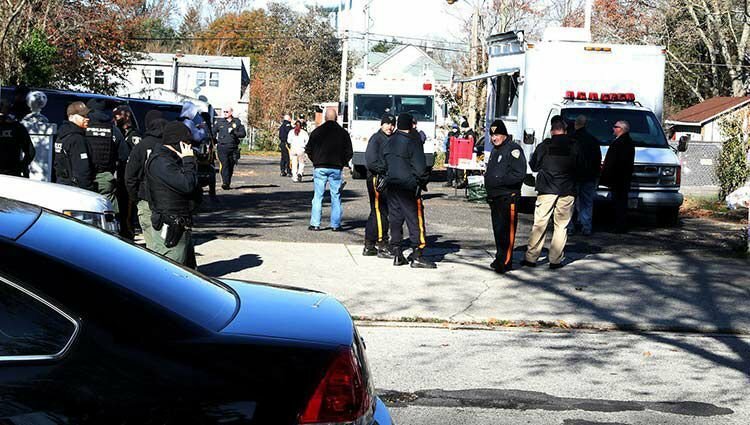 The State Police Fugitive Task Force directed the search Wednesday near South Woods State Prison and Pamphylia Avenue in Bridgeton. Petuskey said State Police and Bridgeton police were involved in the capture of the three suspects. The guard whose car was stolen was taken to a hospital. No information was available on his condition Wednesday evening. ATLANTIC CITY — City police said they arrested and charged an Absecon man after he ran away from police while holding a handgun. It used to be shoppers would head out early on Black Friday to get that big-screen TV or the latest toys.